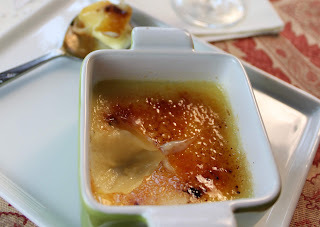 Tips and techniques: Do strain the custard mixture one final time before adding to the ramekins, this will ensure a super silky texture with no little hidden lumps or bumps. Pre-heat the oven to 350 degrees. In a saucepan, heat the cream and the sugar to just below boiling, remove from heat and add the ginger, the cardamom and the vanilla. Cover and steep for 20 minutes. In the meantime, whip yolks until they are fluffy and pale. Strain the cream mixture and slowly add into the whipped yolks. Fold in the yogurt and strain one final time. 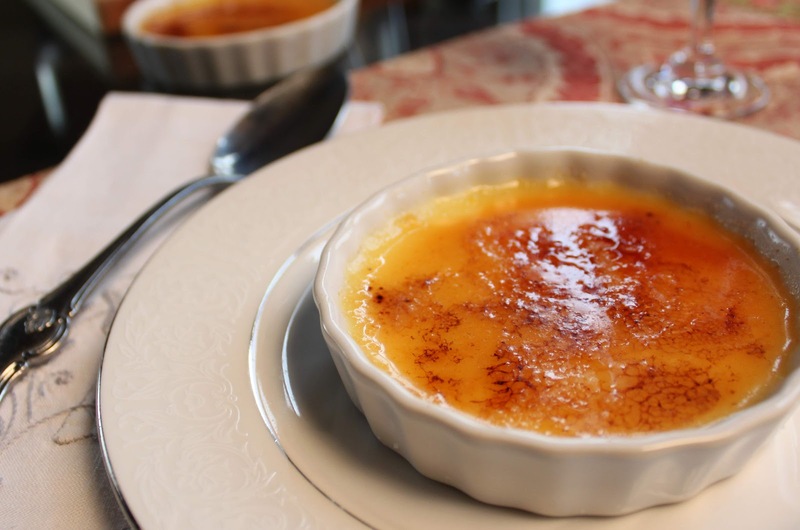 Pour the creme brulee into the ramekins, place the ramekins into a cake pan and pour boiling water into the pan until it reaches half way up the ramekins (this makes a water bath). Carefully place in the oven and cook until center is just set. Remove from the oven, allow to come to room temperature then cool in the fridge up to 1 day before serving. Sprinkle each with a few teaspoons of sugar, then melt the sugar with a hand held torch or under the broiler until browned and crispy. 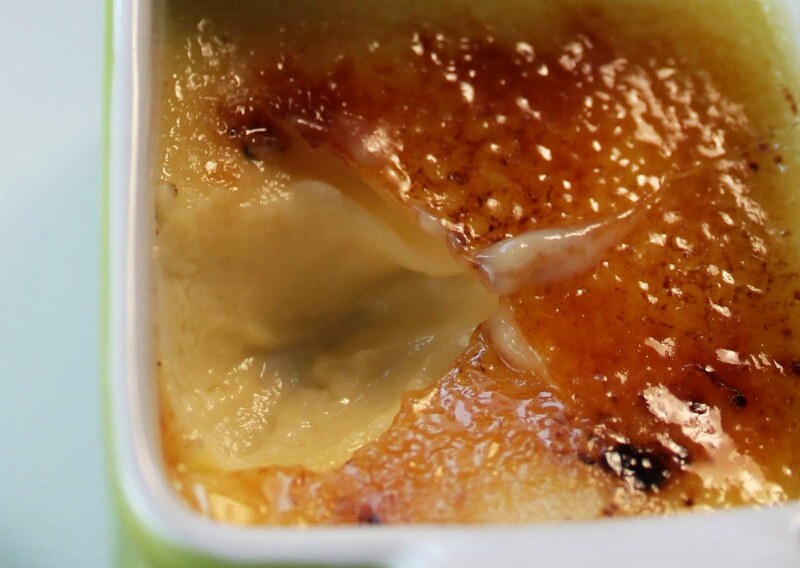 Depending on the size of your ramekins, you should be able make 4- 8 desserts.